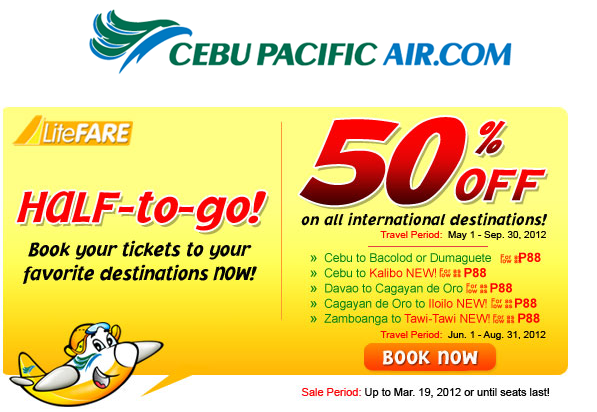 Cebu Pacific Promo Fares 2019 to 2020: Summer Promo 2012: Half to Go! 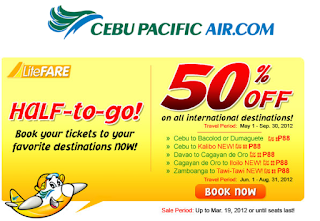 Cebu Pacific Promo: 50% off on ALL INTERNATIONAL DESTINATIONS!! !